Sasha Lane at UGG x Jeremy Scott Collaboration Launch Event at The h.wood Group's 'Poppy' on August 27, 2017 in West Hollywood, California. Sasha Lane attended the UGG x Jeremy Scott launch looking sporty in a white track jacket. 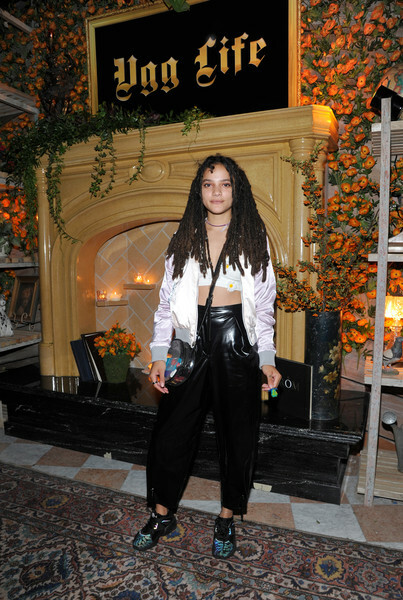 Sasha Lane teamed her jacket with baggy black leather pants. Sasha Lane stayed comfy with a pair of blue and black trainers.